Christmas is nearly here, and we've all got gamers in our lives that are looking forward to a holiday filled with playing games - whether they're video games or physical ones. Looking for something for the gaming fan on your gift list? 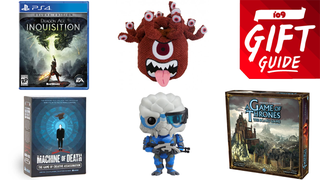 Here's what you need to make gamers of all ilks happy this holiday. Our sister site Kotaku has regularly updating lists highlighting the best games for PC, PS4, Xbox One, Wii U, 3DS, Vita, and much much more - any game that is a must have will be on there, from recent hits like Dragon Age: Inquisition (PC, Xbox One, PS4, Xbox 360, PS3, $45-60) to goodies from earlier in the year like Bravely Default (3DS, $33) or Mario Kart 8 (Wii U, $52). Gamers who just got a new system for the holidays will especially appreciate getting an awesome game for their new hardware! If your gamer plays on consoles, odds are they're subscribed to PSN+ or Xbox Live Gold. These yearly subscriptions give them access to online multiplayer, free games and other services - and an extension to their subscription would be a gift they'd definitely get use of. You can buy year-long subscription cards for Xbox Live Gold ($50-60) and Playstation Plus ($50). Maybe your gaming fan is a World of Warcraft player? You can buy Pre-paid game time cards to top up their subscription - and this also applies for a multitude of subscription based MMORPGs like Final Fantasy XIV or Star Wars: The Old Republic ($30 for 60 Days). In the US, Blizzard let you gift extra subscription time digitally, straight to their WoW account. If you know the gaming series they're obsessed with, and maybe don't want to give a game as a gift, you can get smaller gaming gifts related to the games they love. Legend of Zelda fan? 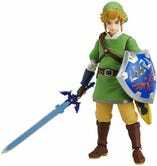 How about a comprehensive book looking at the fictional and factual history of the franchise, Hyrule Historia ($20), or a Link Figma figure ($68). Mass Effect lover? Adorable Mass Effect Minimates ($5) or Funko Mass Effect Pop! Vinyl toys (multiple available, Garrus shown for $11). Can't get them to stop building forts in Minecraft? Get them to build it with the Minecraft licensed Lego set (multiple available, The Farm shown for $52)! If you've got younger gamers (or the young at heart) who are in to 'toy to life' games, you can get them the figures and playsets that they use to play the game - like a Disney Infinity Baymax ($13) or a Skylanders Trap Team Wildfire ($15). 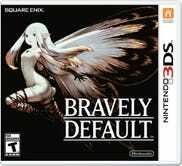 Seriously, if you know what game series they like, put the name into Amazon and you'll find a treasure trove of goodies to choose from. If you've got groups family or friends together when gifts are being doled out, your Board Game fan would probably love a multiplayer game they could dig into with a bunch of people then and there. Nothing says the holidays like spooky monsters, so why not team up to fight evil with Fantasy Flight Games' Eldritch Horror ($60, 1-8 Players)? 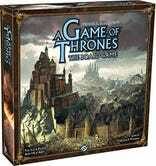 Fans of the books and the HBO show alike would also enjoy the political and military scheming of A Game of Thrones: The Board Game ($50, 3-6 players). 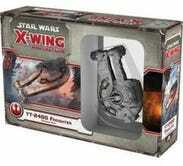 Smaller scaled but just as awesome is the Star Wars X-Wing Miniatures Game ($29, 2 players) - which you can expand with new miniatures like this YT-2400 Freighter ($22) and many more! Every Tabletop Gamer always needs new tools and accessories for their latest RPG campaign - or even a whole new setting for them to create a new adventure. The Emerald Spire Superdungeon ($35) for Pathfinder is created by some icons of Tabletop RPGs and features content that supports parties of level 1 characters to Level 13 ones as they explore the mysterious depths of the titular spire. Got a D&D DM getting ready for the 5th Edition Tyranny of Dragons campaign? This awesome Tyranny of Dragons DM screen ($15) is tailor made for the campaign and comes covered in information to save you from flipping through textbooks and keep the action flowing. Accessories are just as important. Reaper's Bones Miniatures are perfect for D&D and other Tabletop games - and are great quality unpainted figureines for affordable prices, with everything from big Fire Dragons ($13) and themed sets like this Lost Dungeon Bundle ($43) to choose from. Every tabletop gamer has oodles and oodles of dice - so you can help them store said oodles in fun and helpful ways! This incredible Eye of the Beholder Dice Bag ($20) has POSEABLE EYES, but if you're looking for something a bit more practical this Clincher Bag ($14.50) has multiple compartments and is highly durable. It was designed for screws and other small parts, but is just as good for dice. Those of a card-based disposition have just as much to look forward to too. 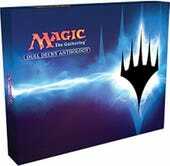 Fans of the seminal Magic The Gathering would love this Duel Decks Anthology ($144), collecting all 8 of the previous duel decks into one package, complete with special tokens and individual boxes for each. 480 cards! Sometimes card games aren't just decks, they're closer to board games that happen to be card-based - like the excellent Machine of Death: The Game of Creative Assassination ($40), which tasks you and other players as assassin's working to ensure their marks get killed in specific, inventive ways. 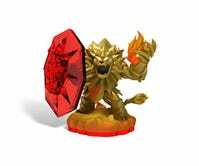 Got a Pathfinder player on your gift list? Why not get them hooked on the card game version of the Tabletop RPG! Pathfinder Adventure Card Game: Skulls and Shackles ($38) takes the fantasy world of Pathfinder and transposes it into a deck building card game that has you building sets of allies to go on piratical adventures with. Additional Research by Ed Grabianowski.